Originally published on April 5, 2017. Last updated on January 30, 2018 for up-to-date information. This is the first step in a mini three-part series on creating a successful pet business marketing strategy. You can find all three parts in the eBook: The Complete Guide to Pet Business Marketing in 2018. As a pet business, we understand how difficult it can be coming up with a marketing strategy that's both effective and easy to put in to place. Because the pet industry is always changing, we want to make sure we stay flexible with the moving trends and business practices. The marketing plan will help ensure you always stay on track to being a successful business. We understand how daunting it can be to tackle marketing in the pet industry. Marketing trends change just as much, if not more, than pet industry trends, and it can be difficult to keep up with. Whether you're a pet store or a pet product manufacturer, it's crucial to have a strong sense of how to market your pet business to your customers. Drafting up a marketing plan is the first step toward being successful in marketing your business. If just reading “marketing plan” makes you want to groan, don’t worry - it’s not as hard as it sounds. Let's break it down into baby steps. With this guide, you'll have a great pet store or pet product marketing plan drafted up in no time. The first thing you’ll want to do is start with the background of your business. This is the easy part; all you need to do is write your company’s story. If you have an “About” page on your website, you can use that. Plus, you can take this opportunity to make any alterations you deem necessary to make your company appear as the top dog in your space of the pet industry. Once your company’s background is defined, the next step is determining why you do what you do. Too many businesses start with the what they do, move on to the how they do it, and either never get to the why or save it for last. 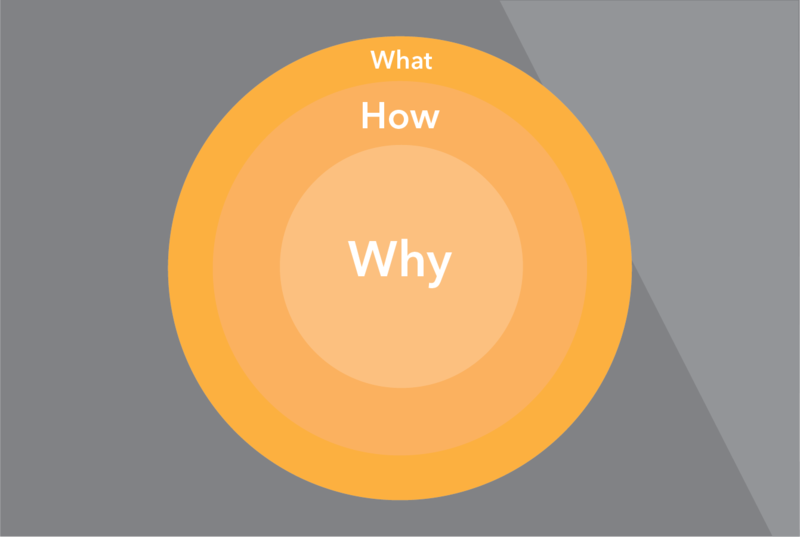 What do we mean by the why? Well, it’s simple. Ask yourself, “why am I selling only all-natural pet food in my store?” or, “Why am I making the fluffiest dog beds?” If your answer is only “to make money,” you’ll need to re-evaluate your business. Customers are emotional because humans are emotional. We buy the why, not the what. Think about this: why is Starbucks so successful? After all, aren’t they just a cup of coffee? Starbucks is successful because they established the boring, plain, disposable coffee cup as an accessory. They have loyal customers truly believing that going to Starbucks is cooler than going to the neighborhood coffee shop. For this step, ask yourself, “Why did I start this business? Why am I still in this business?” Your answer to these questions will then define everything you do moving forward. Otherwise, customers will see through your all-natural brands of food and super-fluffy dog beds and move on to the next best option. Take this moment to also identify your brand promise. In other words, what do you want your customers to always get out of purchasing from you? Using the all-natural pet store as an example, it could be something like, “Always stocking the most natural, high quality brands in the pet industry.” Pick a brand promise and stick to it. Your customers will thank you for it with loyalty and repeat business. Free Worksheet: Download our free eBook and get a free worksheet to help you determine your why. The next step is to create an analysis of your company’s Strengths, Weaknesses, Opportunities, and Threats (SWOT). When completed successfully, you should have a pretty good idea of what your business is good at, not so good at, and some opportunities you should pursue, while being mindful of potential threats. This is just one example of what your SWOT analysis could look like. Of course, you’ll want to identify strengths, weaknesses, opportunities, and threats relevant to your business specifically. Free Worksheet: Download our free eBook and get a free worksheet to help you with your SWOT analysis. 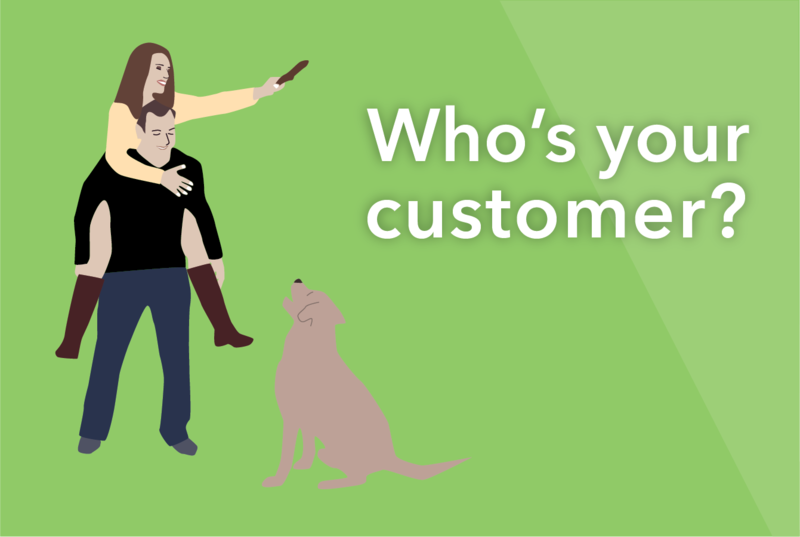 In other words, who is your customer? If you’re properly engaged with your business, this should be fairly easy as you probably see this person every day. Some things to keep in mind when you’re mapping out your target customers are demographics (age, gender, ethnicity, education, household income, employment status) and psychographics (lifestyle, personality, beliefs, interests). You might also want to include pet industry statistics such as # of pets owned, types of pets owned, and popular breeds. To go the extra mile (recommended), you can also put together a sample target customer profile. This would be a fictitious person, based on your research and answers from the target market, who would resemble your daily and/or ideal customer. Retailer Tip: Not only will identifying these characteristics help you with your marketing strategy, but it will also help you understand what types of products you should stock in your store and what types of add-on services you can offer. For example, if you have a lot of customers with long-hair cats, you will know to keep brushes, hairball remedies, and cat food always stocked. Additionally, if your customers travel a lot, then it might be worth looking into sponsoring a third-party pet sitter or having one on staff. This is essentially a list of your competitors and how they potentially threat your business. This section can be as long or as short as you would like to make it. If you want to keep it short and sweet, you can just go with the names and a few basic threats of your competitors. If you’d like to add a little more detail, you can include tactics, opportunities, and key differences. This will largely play into your unique value proposition. Your unique value proposition is a statement that explains what sets your company apart from other pet businesses. Every successful business plan will already have this. If you do not yet have a UVP, it’s time to come up with one. More importantly, what do you do better than your competitors? What can you realistically add to your products/services to stand out? Who are your top customers, and why do they keep coming back for more? Free Worksheet: Download our free eBook and get a free worksheet to help you with your unique value proposition. Now that you know what you want to market, who you want to market to, and what your message is, you have to decide where you want to share it. There are many effective ways you can spread your marketing message, no matter what kind of pet business you are. This is the oldest tool in the shed. Word of mouth is still one of the most effective ways potential customers hear about your business. However, it’s also one of the most difficult to control and monitor the ROI for, as it basically boils down to people talking about your brand. Monitor keywords surrounding your brand on social media and relevant pet forums to see what people are saying. It's worth noting that no business can exist solely on word of mouth these days. While it may get you started in the beginning, it won't be enough to sustain - much less grow - your pet business. Everyone’s saying it because everyone’s on it. Having a social media presence these days is crucial to maintaining a web presence. However, this doesn’t mean you need to be on all of them. Pick 2-3 top platforms that work best for your offerings. Then, be very active building a community and creating loyal customers. The third blog in our series will discuss specific ways you can take advantage of social media to create an army of loyal customers. Whether you host, sponsor, or participate in community events, it’s one way to get your name out in the “real world” outside of the web space. Many pet stores opt for hosting adoption events, but there are so many other creative ways to get people to come into your store. As an example for a pet retailer, on Valentine’s Day you can set out a shoebox with your branding on it and stuffed with “Valentine’s Coupons” that will give your customer a surprise discount off specific items. This will get them excited to come in and get a surprise coupon, and remember you for doing something different. Setting aside a budget for advertising is crucial, especially if you want to be present on Facebook and Google (unless you invest more in highly engaging content marketing, in Google’s case). While it doesn’t have to be a large budget, this will go far in helping you establish a web presence. Note: While not all advertising is online, much of it has gone that way as it’s great at proving ROI. However, you can always invest on offline opportunities as well! 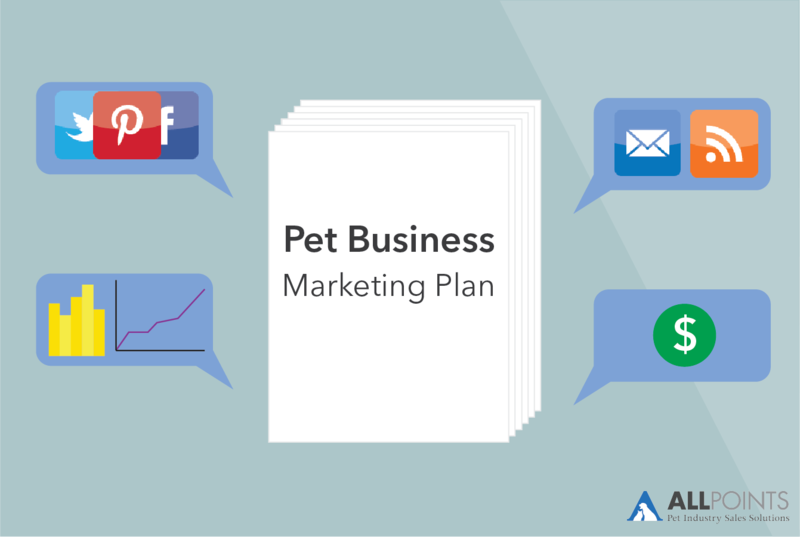 Once you've identified these seven crucial elements to a business plan, pat yourself on the back (or your dog on the head) because you now have a marketing plan! It's generally best practice to have a yearly marketing plan, which will then be reviewed and altered before the start of the next year. Be sure to identify specific goals that you want to accomplish each year. The key is to identify SMART (specific, measurable, agreed-upon, realistic, and time-based) goals that are easily trackable. For example, "15% increase in social media following." Once you have identified your goals, track them on a monthly, quarterly, and yearly basis to ensure you're accomplishing them. If not, you may need to alter your strategy and/or your goals.